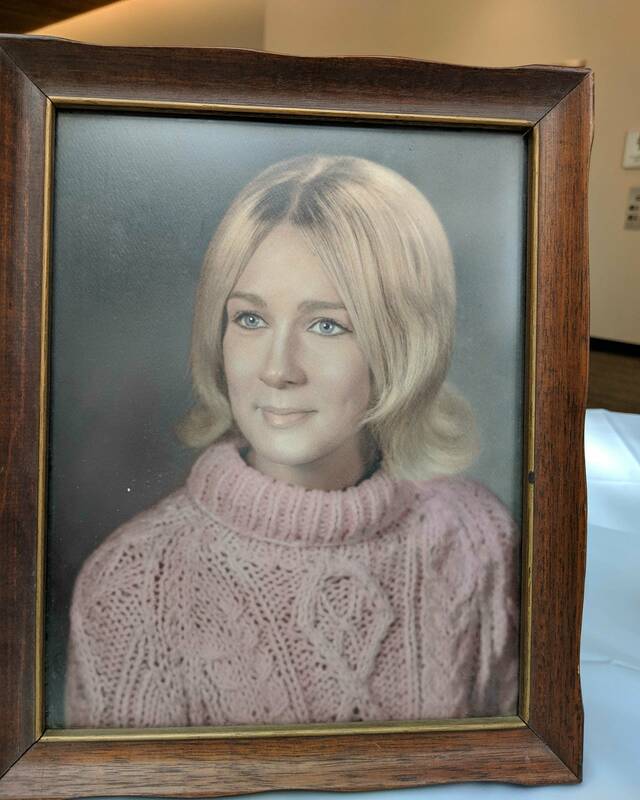 Updated: 3:45 p.m. | Posted: 3:18 p.m.
Human remains found in an abandoned rural Minnesota home are those of 18-year-old Gloria Rieken, a University of Minnesota Twin Cities student who disappeared in November 1970, the Minnesota Bureau of Criminal Apprehension said Wednesday. Rieken was last seen leaving her University Avenue apartment in Minneapolis on her way to class. 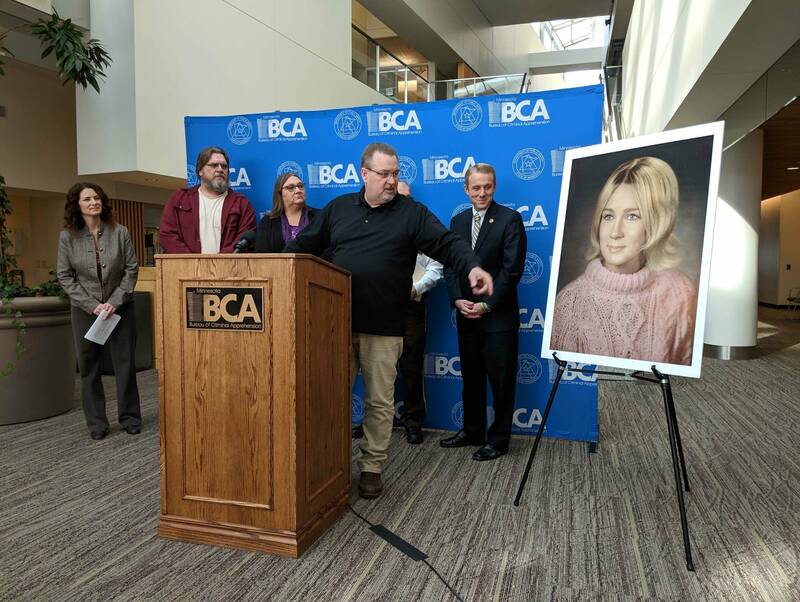 "It's not the news the family wanted ... however, it does give the family answers so that they can finally bring Gloria home," said Bureau of Criminal Apprehension Superintendent Drew Evans at a press conference in St. Paul. Mille Lacs County Sheriff Don Lorge said Rieken's case originally began as a report of a fire at an abandoned home near Milaca, Minn., almost 50 years ago. Since the home was abandoned and the blaze was not threatening to spread, the fire department did not respond. Lorge said a neighbor looking through the debris later discovered what appeared to be human remains. At the time, investigators could only tell they belonged to a young woman who did not die in the fire. The sheriff was assigned the case as an investigator two years ago and requested exhumation of the remains in August 2018 — in hopes of recovering some DNA. It worked, and the Midwest Medical Examiner's office forwarded the information to the state's crime lab. For several years, the BCA has asked family members of missing persons to provide DNA to compare with unidentified remains. "We are asking the public's help for any information they may provide to help determine what may have happened to Gloria," Lorge said. He said he hasn't been able to find a direct link between the student and the rural homestead where she was found. "It was a big step we made, matching the remains and finding the DNA," said Gloria's brother, Rich Rieken, who was 2 years old when his sister disappeared. "My mom and dad and siblings always wondered what happened to Gloria," he said. "Now we have the answer to that." Gloria Rieken was the oldest child of Peter and Fredrika Rieken, and grew up in Hayfield, in southern Minnesota. Rich Rieken said his sister had a passion for art and music. She doorknocked for the campaigns of Hubert Humphrey and Walter Mondale. "She was a young, active college girl, looking forward to her future and starting her own life. Then she was gone," he said. BCA Deputy Superintendent of Forensic Science Services Catherine Knutson said a positive identification "is always our hope." She said the state crime lab still encourages relatives to provide crucial evidence that could help solve other cases. The state knows of 240 Minnesotans who have been missing more than a year. Correction (Feb. 13, 2019): A photo caption misidentified Rich Rieken in an earlier version of this story. The caption has been updated.